The Opportunities, the Challenges, and Promises of 2011 and Beyond. Chief Phil Lane Jr. is an enrolled member of the Yankton Dakota and Chickasaw First Nations and is an internationally recognized leader in human and community development. 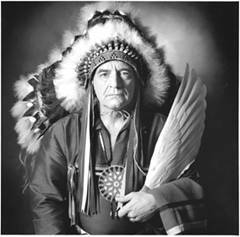 He was born at the Haskell Indian Residential School in Lawrence, Kansas in 1944, where his mother and father met and attended school. He is a citizen of both Canada and the USA. During the past 43 years, he has worked with Indigenous peoples in North, Central… and South America, Micronesia, South East Asia, India, Hawaii and Africa. He served 16 years as Associate Professor and Founder and Coordinator of the Four Worlds International Institute at the University of Lethbridge, Alberta, Canada. Four Worlds became an independent Institute in 1995. As well, Phil is Chairman of Four Directions International, an Aboriginal company, which was incorporated in 1996 as Four Worlds’ Economic Development Arm. This entry was posted in Make No Bones Shows and tagged and Promises of 2011 and Beyond., Chief Phil Lane Jr., First Nations, Honoring, KAOS 89.3 FM, Raven Redbone, the Challenges, The Opportunities. Bookmark the permalink.